Accidents are, by definition, unintentional. Someone wasn’t being sufficiently careful, and they harm another person as a result. But some injuries are caused by intentional acts. If someone intentionally harms you, you might be entitled to punitive damages, but you should meet with a personal injury lawyer to review your case. Intentional injuries are not as rare as you might think. According to the Associated Press, just last month a driver intentionally crashed his car into a parked Highway Patrol vehicle on Interstate 4 near Sanford. The 38-year-old man saw the parked police car and drove into the left-hand side. After ramming the police car, he got out and told the officer his actions were intentional. Police arrested the suspect and the trooper was checked into the hospital as a preventative measure in case of injuries. 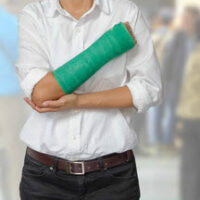 The purpose of the civil law system is to compensate accident victims for their injuries. To that end, you can be reimbursed for medical bills, lost wages, and property damage. You can also receive money for physical pain and emotional distress. True, money can’t really compensate for physical and emotional suffering, but it is the best the law can do. Punitive damages are different. They are intended to punish the defendant and to deter them from committing the same bad acts in the future. Usually, punishment is reserved for the criminal justice system, but the civil law system can also punish by forcing defendants to pay a sum of money in addition to compensatory damages. According to Florida statute, punitive damages are available for intentional misconduct or gross negligence. Intentional misconduct is conduct the defendant knew was wrong and knew would probably cause an injury. Gross negligence means recklessness that exhibits an indifference to other people’s life or safety. Think of it this way: if the defendant injured you because they were merely careless, then you will not qualify for punitive damages. For example, someone might have backed up in a parking lot and not checked over their left-hand shoulder, thereby striking a pedestrian accidentally. However, if someone intentionally strikes you or races down the road at 100 miles per hour, then their conduct might warrant punitive damages. Punitive damages are tricky to estimate. A lot depends on how outrageous and offensive the jury finds the defendant’s conduct. When you meet with your personal injury lawyer, they can assess the surrounding circumstances and estimate whether punitive damages are a possibility. Florida also caps punitive damages. For example, Florida typically limits punitive damages to three times the amount of your compensatory or $500,000, whichever is larger. However, if the harm was purely intentional, then there is no limit on punitive damages. Reckless people are a danger to those around them and should be punished to prevent others from being injured. If you’ve been injured by someone’s intentional misconduct or gross negligence, punitive damages might be available. Contact Bundza & Rodriguez for a free consultation.